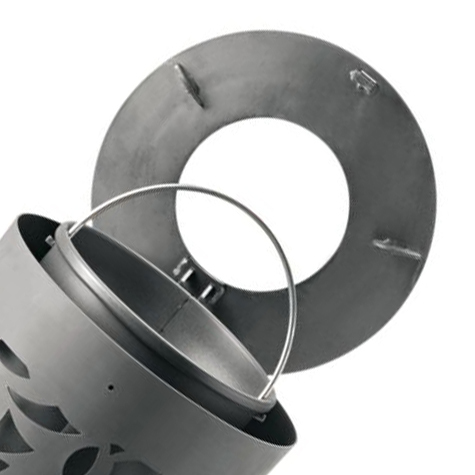 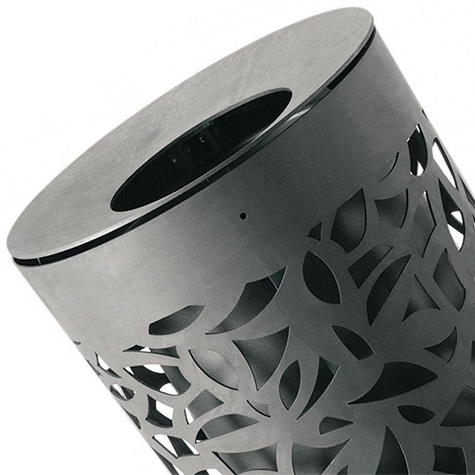 The Conga Litter Bin is manufactured from steel sheet which is machine pressed into a cylindrical shape. 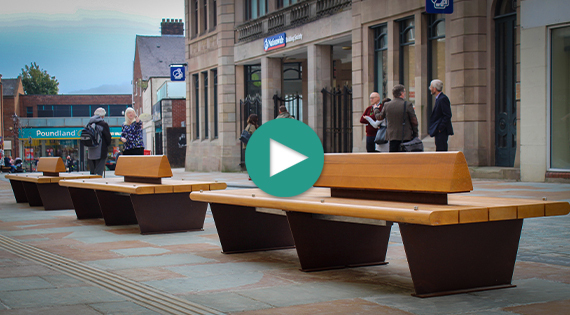 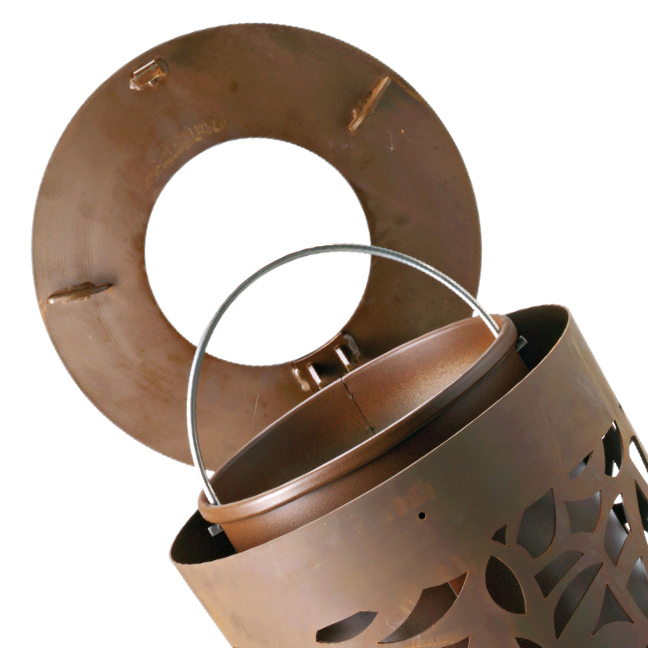 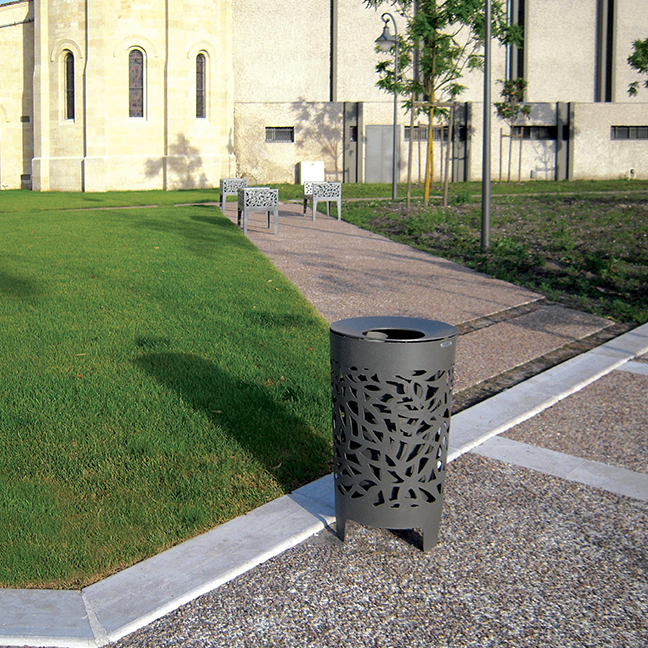 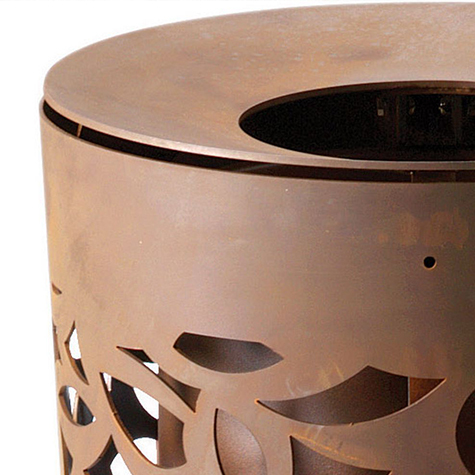 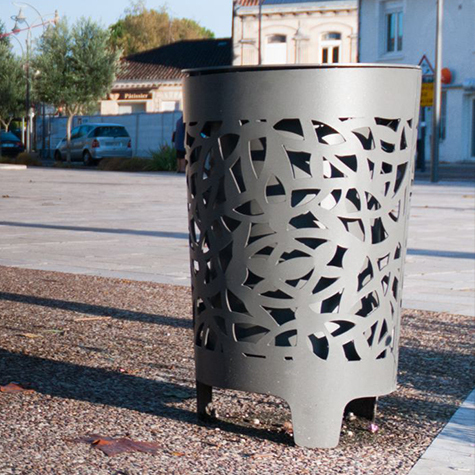 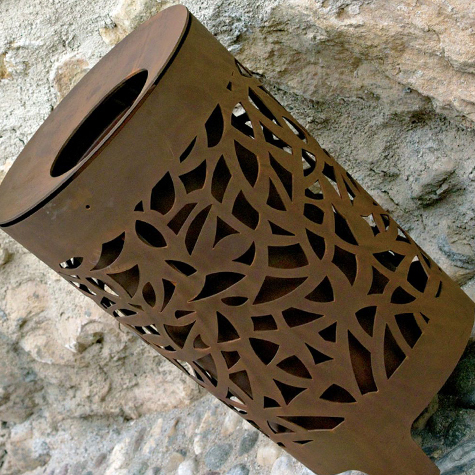 The litter bins pattern is laser cut to display perforation with flora motifs complete with a cover with central hole for the rubbish to pass through. 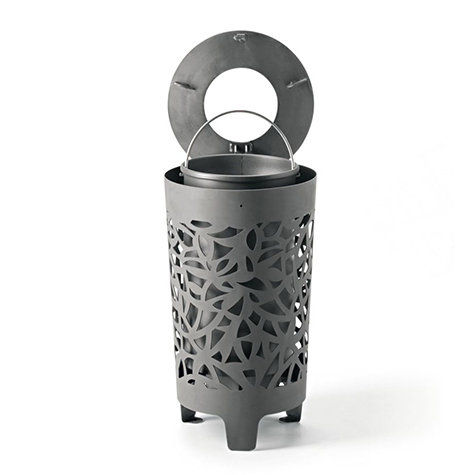 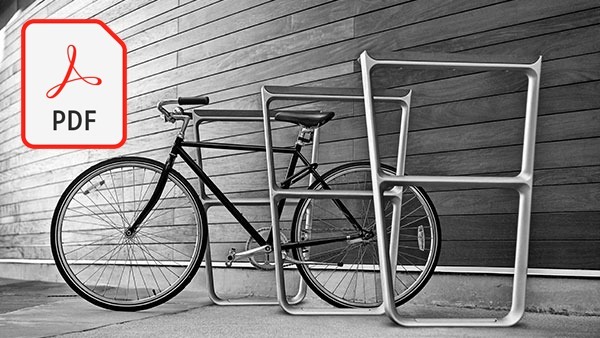 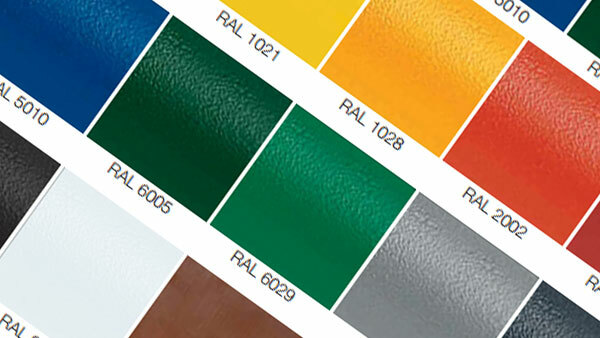 Inside the bin is an internal container made from steel sheet, equipped with a steel handle to ensure ease of moving.